Maria Chavez presents an improvised solo turntable performance that combines recorded sounds from vinyl records with the electroacoustic sounds of vinyl and needle in various deteriorating phases. This raw approach merges the practice of improvisation with the inherent unstable conditions of a turntable, allowing accidents to dictate each sound piece. Born in Lima, Peru and based in NYC, Maria Chávez is best known as an abstract turntablist, sound artist, and DJ. 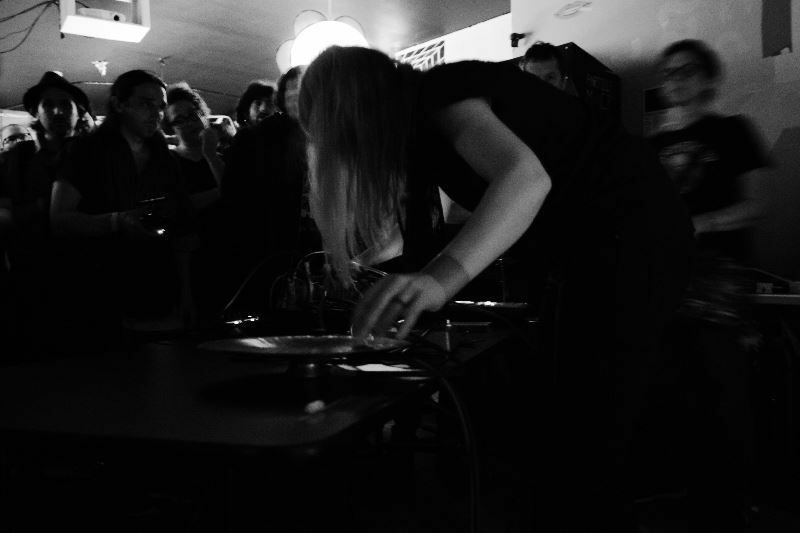 Accidents, coincidence, and failures are themes that unite her sound sculptures, installations and other works with her improvised solo turntable performance practice. Performing together for the first time, Audrey Chen and Megumi Eda will be revisiting the process of internal/external corporeal movement and primal athleticism, combining Chen’s vocal hyper extensions, the analog controlled chaos of Peter B’s Fourses, and Eda’s gracefully obtuse/alien movement vocabularies.